Vote today and everyday this month to help your favorite blogger win the February Thumbs Up challenge. Most DIYers have heard that rewiring your own home is like playing with fire—unsafe and often illegal. Wiring your own lamp, however, is a different story altogether. No matter your style or skill level, you can create custom lighting at home—and we’ve pulled together our favorite blogger projects to prove it in this month’s Bob Vila Thumbs Up competition. 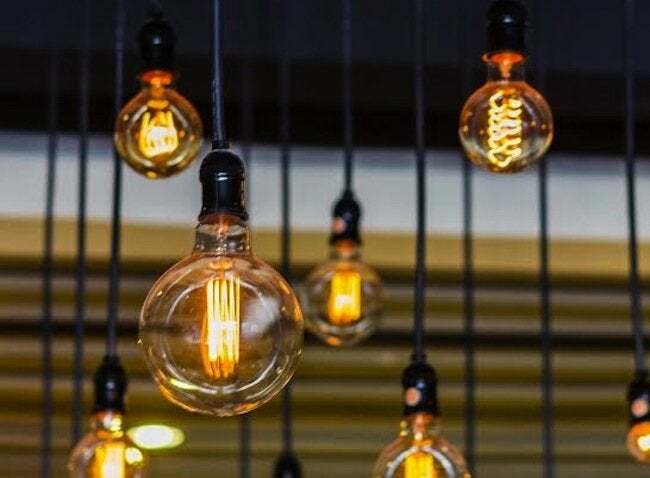 Bob Vila Thumbs Up highlights some of the very best DIY bloggers, and this month we’re appreciating the ingenuity of novice lamp makers. These inventors are no electricians, but their savvy style and budget-smart decorating earns them major points in our book. Now it’s your job to vote one blogger to take the title of Bob Vila Thumbs Up champion and the winner of the prize—a $250 gift card. So cast your vote today and every day through February 29 to help your favorite blogger become this month’s Bob Vila Thumbs Up winner. After all, only you and your vote can determine the outcome of this competition. Congrats to last month’s winning blogger, Beyond the Picket Fence. Read more about the winning Bob Vila Thumbs Up project right here.